With a data bandwidth four times higher per cycle, users with ASi-5 can access up to 16 bits per slave. In the past, it was possible to connect only 62 slaves, but now ASi-5 allows up to 96 to be integrated. Now that its cycle time has gone from 5 ms to 1.2 ms, ASi-5 transmits both digital and analog values much more quickly, taking performance to a whole new level. The ASi-5 network supports the integration of other technologies, such as IO-Link. Safety devices can be easily and affordably connected with the newly developed fieldbus system. An additional diagnostic channel allows for more plant availability. Alongside cyclic process data, acyclic status data can be retrieved, laying the groundwork for predictive maintenance. AS-Interface, short for actuator-sensor interface, is a simple and cost-effective wiring technology for sensors and actuators. Power is supplied and data is transferred via a single flat cable with reverse polarity protection. Using piercing technology, AS-Interface devices can be positioned easily and with complete flexibility along the entire flat cable. A development community of seven companies is now working on a new generation of AS-Interface that will take performance to the next level: ASi-5. This generation will take Industry 4.0 into account and allow AS-Interface to be combined with IO-Link in the future. AS-Interface is the only standardized system for the lower field level that does not require connectors for the data and power connection. The robust AS-i system is completely resistant to electromagnetic interference and does not require costly shielding. Since ASi-5 works without costly switches or active distributors, devices can be installed anywhere along the total cable length of 200 m—branches can also be installed at any point. AS-Interface devices can be installed via piercing technology at any time and at any point along the flat cable. Users of the new technology don't have to compromise. The system is fully backward compatible and allows combined operation of ASi-3 and ASi-5 on the same flat cable, making it future-proof. An addresser is a great tool for easily commissioning ASi-5. Pepperl+Fuchs has already developed this service tool as its first ASi-5 product. As with the ASi-3 addresser, the new development will be offered to all other ASi member companies as a standardized brand-label product. The new addresser will enable Bluetooth connectivity via smartphone or tablet, making device addressing possible via an app. The corresponding app features an intuitive user interface that includes the option to address single slaves or all devices on one AS-Interface line. The power supply for both the ASi-5 addresser and ASi-5 slaves is provided by means of a standardized USB-C interface. This way, the ASi-5 addresser can provide optimal support to personnel during future maintenance and repairs. As a co-founder of the ASi-5 technology, Pepperl+Fuchs is working hard to test, finish, and launch a comprehensive ASi-5 product portfolio. ASi-5 complements the existing ASi-3 infrastructure, and both operate on the same AS-Interface flat cable. This is why ASi-3 products will still be produced and available for purchase over a several-year transition period. First product developments by ASi members outside of the ASi-5 development community are expected to launch starting in 2020. ASi-5 Addresser (left) and ASi-3 Addresser (right). Learn more about the enhancement of AS-Interface technology, new features and benefits the new generation will bring, and how development of the first ASi-5 devices is shaping up in an interview with Dr. Thomas Sebastiany, director of the systems business unit at Pepperl+Fuchs and board member for the ASi development community. Pepperl+Fuchs was one of the 11 companies that founded AS-Interface in 1990 and helped shape the development process from the very beginning. The user organization's official website provides an overview of the latest news, trends, developments, and applications, and offers access to an extensive knowledge base on the technology known for its flat, yellow two-wire cable. Technical faults on railways often lead to delays or cancellations. Especially in modern trains with a lot of technical equipment, there are many potential causes of a fault. In the future, it will be possible to transmit additional diagnostic data via ASi-5, allowing for quicker detection and assessment of the problem. 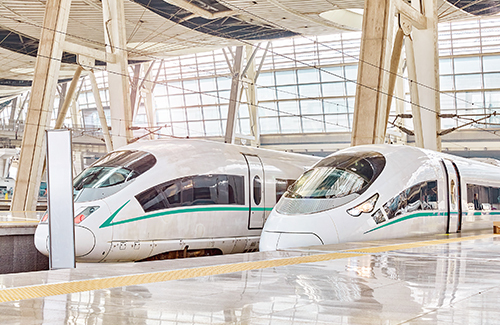 For example, ASi-5 will enable light barriers with contamination detection to be installed in a train's door to determine whether a person is blocking the door or if the light barrier is simply dirty. It was previously impossible to make this distinction using AS-Interface, but ASi-5 will allow a quicker diagnosis and prevent unnecessary delays during operation. AS-Interface is used in conveyor systems to connect motor starters, light barriers, signal towers, safety components, and other devices over long distances. However, with the current AS-Interface, only 3-bit output data is available for each motor starter in the extended address range, so that only eight different "commands," such as the motor speed, can be transferred. ASi-5 will make 16-bit output data available in the future to allow for much finer ratings. ASi-5 will allow parameter data, such as the direction of rotation and start/stop ramp, to be transmitted in the process data. This enables parameterization to take place at the right time, which was not previously possible as an additional channel was required. 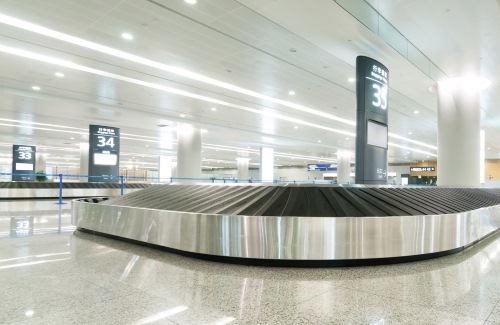 Thanks to the easy connection of many IOs over long distances, AS-Interface is used in luggage conveyor systems at airports. QR code readers or RFID systems usually deliver the information about where a piece of luggage should be transported. AS-Interface cannot currently transmit this data due to its sheer volume, so separate systems are required. ASi-5 is capable of transmitting up to 192 bytes of input and output data in just 5 ms. 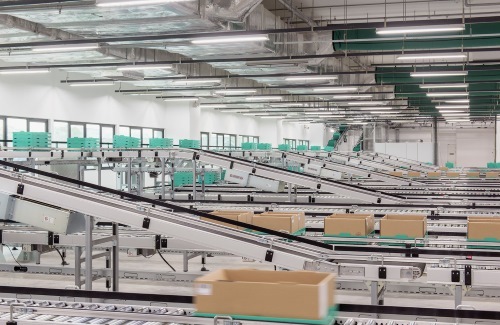 This will make it possible to integrate RFID systems or QR code readers into the system in the future, so only one system is necessary for identifying and controlling the conveyor system. This will reduce costs and complexity. What advantages would the new ASi-5 technology bring to my plant? How exactly are IO-Link devices integrated into an ASi-5 network? We will be happy to answer these and any other questions you may have. Simply send us a message or arrange a personal consultation with one of our experts. AS-Interface Product Portfolio Discover our full range of AS-Interface products now! AS-Interface Switch Cabinet Module KE5 Series The KE5 simplifies mounting and removal of the connectors, organizes the switch cabinet, and opens up additional installation space.